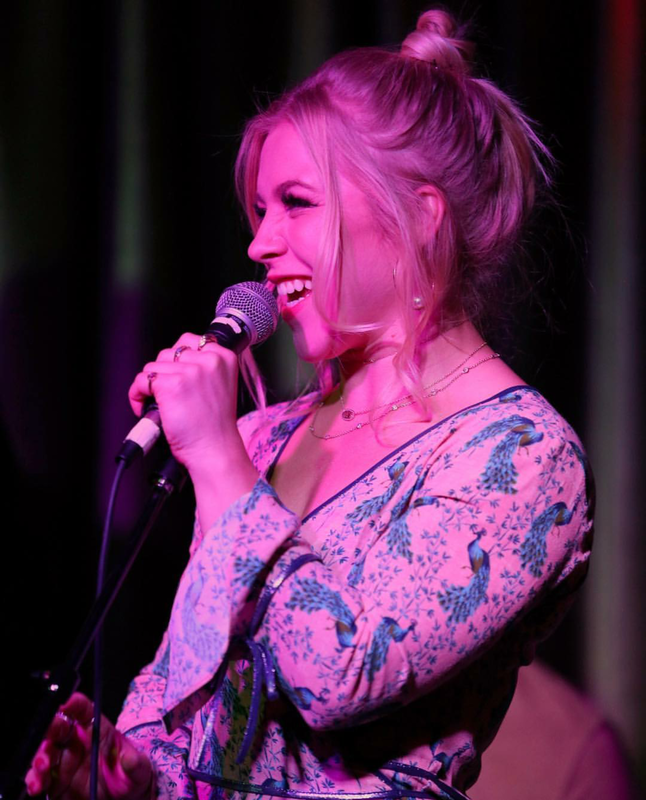 Maggie Szabo is a Canadian singer-songwriter who has been winning over audiences worldwide with her stunningly soulful vocals and empowering pop anthems. Hailing from small town Ontario, Szabo is now an accomplished musician living in Los Angeles and is using her music to conquer social injustice. After quickly becoming one of the most sought after songwriter/vocalists for DJs and notable film and TV placements, Szabo’s latest work has focused primarily on her solo project. ‘Don’t Give Up’ is the first single off of Szabo’s upcoming EP, entitled Worthy. It’s a beautifully authentic and heartfelt song dedicated to transgender youth around the world who live in fear and suffer from rejection and exclusion. ‘Don’t Give Up' showcases an emotional rawness rarely found in music today, whilst addressing a subject which is imperative within today’s society. With soaring layered vocals, Szabo sings an uplifting and encouraging message of hope and acceptance. The single features a driving rhythm section and gospel inspired backing vocals, creating the perfect empowering anthem for those in need. 'Don’t Give Up’ was written and recorded in Los Angeles along with Stefan Lit (One Direction) and Chaz Mason. Szabo’s successes to date include over 13 million views on YouTube, extensive media coverage from high profile outlets such as Perez Hilton, Yahoo Music!, PopCrush and Huffington Post, as well as being featured on multiple airline playlists and numerous notable film and TV placements. She recently was the featured vocalist on the album for German electronic DJ Schiller, who has so far sold 7 million albums worldwide. With a quickly growing fan-base and a social media following that tops some of the nation’s most established pop artists, Szabo has effectively used the internet to showcase and market her songs to the world and her dedicated fans. Her latest single, ‘Don’t Give Up’, was just premiered by Billboard. 1. How did you get to where you are now as an artist? I grew up in a small town in Ontario, Canada and I always knew I wanted to do music from a very young age. I took any opportunity I could find to perform in front of people or make music. When I was about 12 years old, I fell in love with songwriting and I started taking songwriting classes and attending songwriting workshops. Right after high school, I decided I wanted to take a trip to Nashville so I packed up my car and what I planned to be a 2 week adventure turned into a year and a half of immersing myself into the Nashville songwriting scene. I ended up signing with a record label in Toronto, and after that I took the leap to Los Angeles to start my next musical adventure! 2. You're from Ontario but are now based in Los Angeles. How would you compare the Canadian music scene with the US music scene? Canada has such a great music scene, and so many talented artists emerge from that. In the US music scene, I feel as though since there are more people that live here, the amount of people in music feels more concentrated. I think that’s one of my favourite things about living in Los Angeles; there are always new people to connect with! But that’s also what I miss about Canada; it’s such a tight knit community as well. 3. What is your typical day like? My days are always so different! The one thing that I do everyday at a consistent time is my fitness regimen. I wake up and the first thing I do is go to the gym and workout. It keeps me motivated to maintain a healthy lifestyle, and I feel so energized after I workout. After that, I’m usually either writing and/or recording for music for myself or other projects. Everything inspires me! I write a lot of songs so I am consistently looking for inspiration and ideas everywhere I look. 5. You are using your music to conquer social injustice. What kind of responses are you receiving? I am so thrilled at the reaction I am getting from people! The amount of love and support I have received for the video has been so uplifting, and I am thankful that I am able to show my support to the LGBTQ community through my music. 6. What's been the highlight of your career so far? 7. Do ever get discouraged working in an industry that can be very competitive? If yes, how do you overcome that? Honestly, yes, I get discouraged a lot. But, my best way to overcome it is to co-write. For me, nothing compares to the feeling of writing a song. With every song I write, I’m reminded that I’m doing exactly what I should be doing, and that always keeps me going. It’s also always fun being able to create music with someone I love working with. 8. You also write and sing for DJs, film and television. Does your solo work inspire the work you do for and with others and vice versa? Absolutely. Music is music to me. No matter who I’m writing for or what genre, it’s always going to be an expression of me which is in all the work that I do. If you absolutely love it and can’t live without it, fight for it.